If you are planning on having a photo booth at your next event, consider yourself right on trend. One of the hottest additions to any event now is a photo booth rental, and here at www.njphotoboothrentals.com we are on top of every trend in photo booths. Our beautiful White Label Photo Booth is specially designed booth made with pearl white casing and frosted acrylic edging. A white leather bench resides inside where your guests can comfortably pose and the serene white background does not detract from their images but rather enhances them beautifully. One of the benefits of renting a photo booth for your event from www.njphotoboothrentals.com is the availability of customization. We understand you want your event to be perfect, and one of the hallmarks of an unforgettable event is carrying your theme throughout the party. If you have picked colors and a theme, we are happy to accommodate your style into our photo booth. You can customize Our White Label Photo Booth by choosing the colors to match or compliment your event’s theme. An available option even lets you wrap the booth with your monogram or company’s logo! No request is too small – if you can’t find what you are looking for, contact us and we are happy to work with you to make your event exactly what you want. Don’t forget the prints! You want your guests to remember your event, and the perfect keepsake is a photo strip of the images taken in our White Label Photo Booth. Our prints come in either a 2×6 or 4×6 size and are available in Black and White or Color. Our photos print in seconds, ensuring as many people as possible get to use the photo booth at your event, and providing you with many fun and candid shots from your guests! After the event you are supplied with a flash drive of all the images taken at the party, guaranteeing you won’t have missed a shot of any of your guests! Make sure your images carry your event’s theme even in the photo booth! Another option available through www.njphotoboothrentals.com is a prop box. Add to the fun and excitement of the photo booth by choosing to add crazy accessories, hats and fun shades. If you want your theme to carry through the props, feel free to contact us to talk about this option. Hot items these days for photo booth props are handheld moustaches, dialogue boxes with dry erase markers, and empty frames. We are happy to work with you either by bringing your own photo booth props, or we can find some for you! Our White Label Photo Booth is the best choice for your event in New Jersey, New York, Connecticut or Eastern Pennsylvania. Not only are we fully customizable, but the service provided for our booth and your event is spectacular. 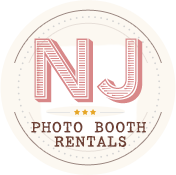 A rental through www.njphotoboothrentals.com comes complete with set up and tear down of the booth, and an on-site attendant throughout the event to ensure any issues that may pop up are taken care of immediately – or to see to any problems before they even occur! The attendant comes with backup equipment in case of a malfunction, as we are prepared for any circumstance! Our company has been in the entertainment business for over 15 years and our satisfied customers will speak to the professionalism, quality, and service we provide for any size and themed event you can dream up! We are happy to work directly with you on planning your event, or accommodating your theme and ideas. Contact us now at www.njphotoboothrentals.com to reserve our White Label Photo booth for your upcoming event today!